Skull in traditional style. Our men's traditional T-shirt BRAEU in smoke blue is made of comfortable cotton and equipped with short sleeves. The V-shaped neckline merges into a short button placket. The highlight, however, is the elaborate front print. 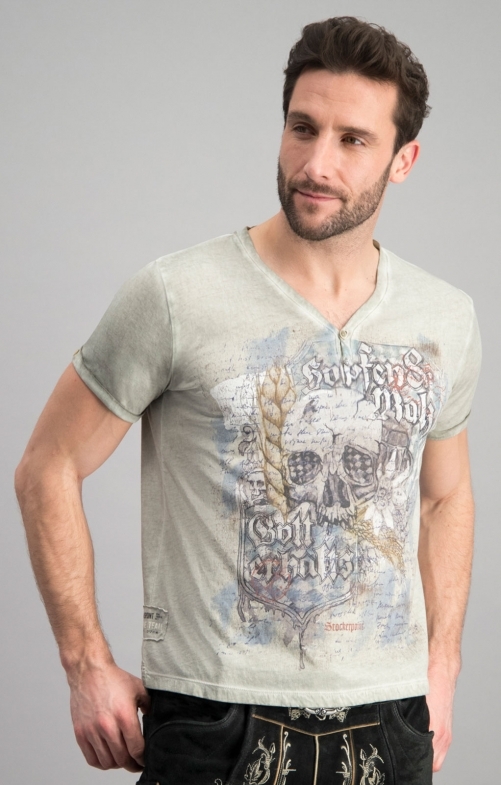 Here there is a skull in the midst of logos, edelweiss and ears of wheat - whimsical and simply irresistible.